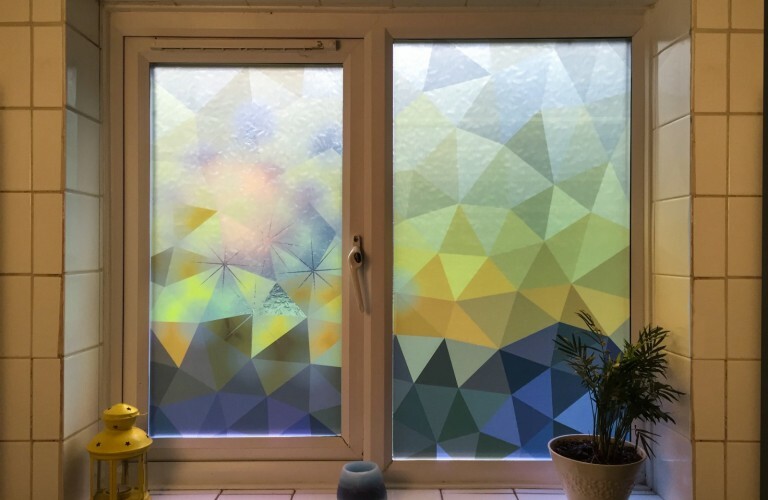 Oakmount Installations Ltd are experts in solar control, privacy, safety, security and decorative window film for the home. 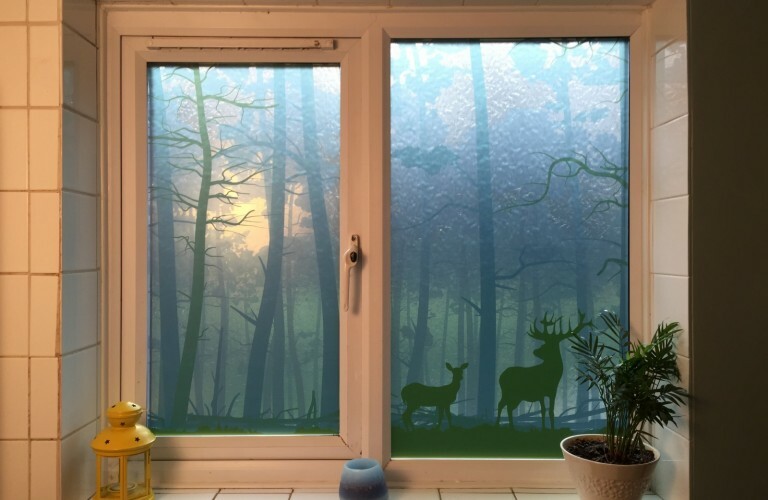 Based on the edge of the New Forest, we have over 15 years’ experience within the window film industry offering a full supply and installation service across Hampshire and Dorset. 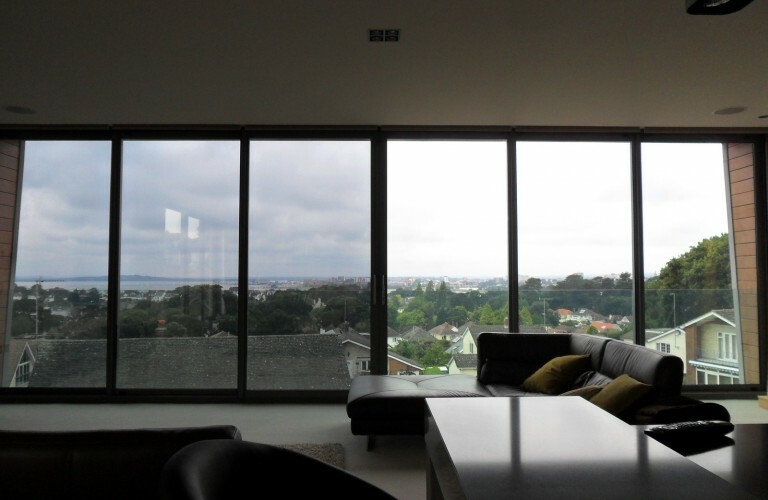 Window film is a transparent or opaque material that is designed to enhance the performance and or the aesthetics of your glazing. 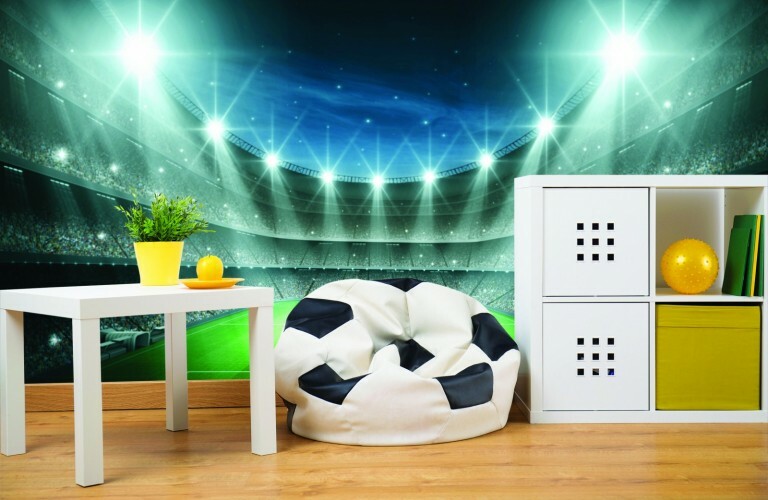 Select a product below to find out more. 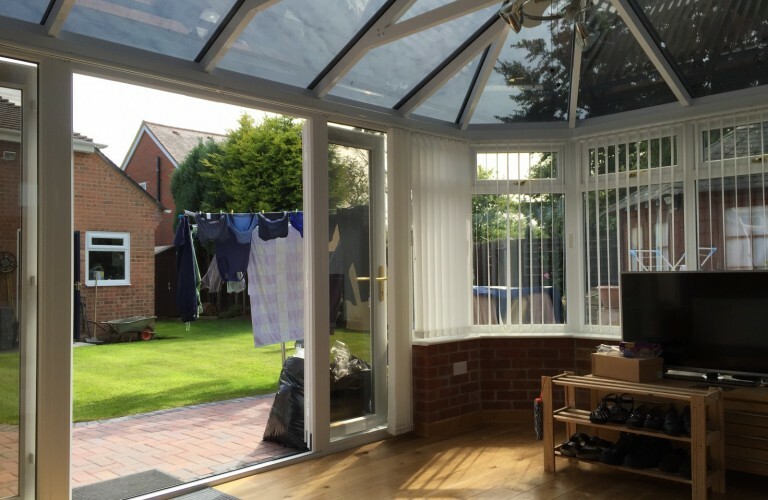 your room or conservatory feel much more comfortable, whilst still allowing a clear view. 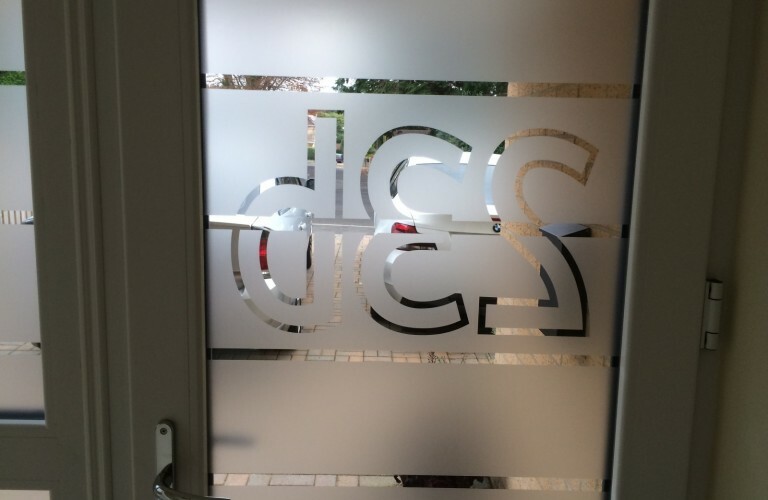 We have a wide range of films available and we'll be happy to help you choose the product that is most suitable for your needs. 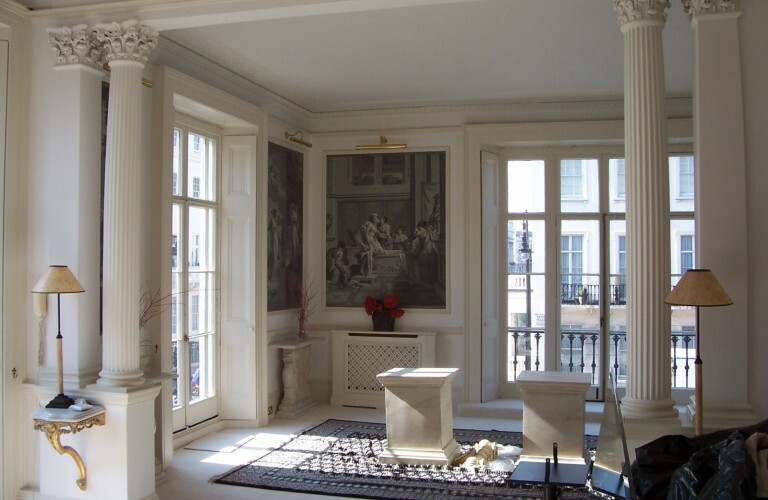 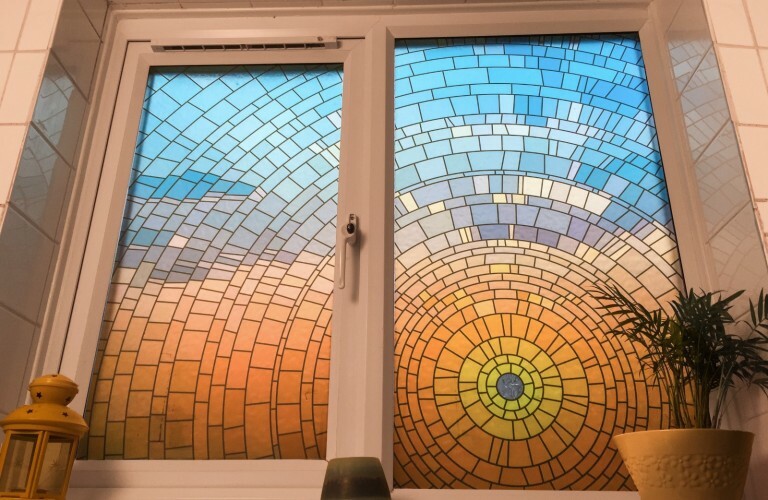 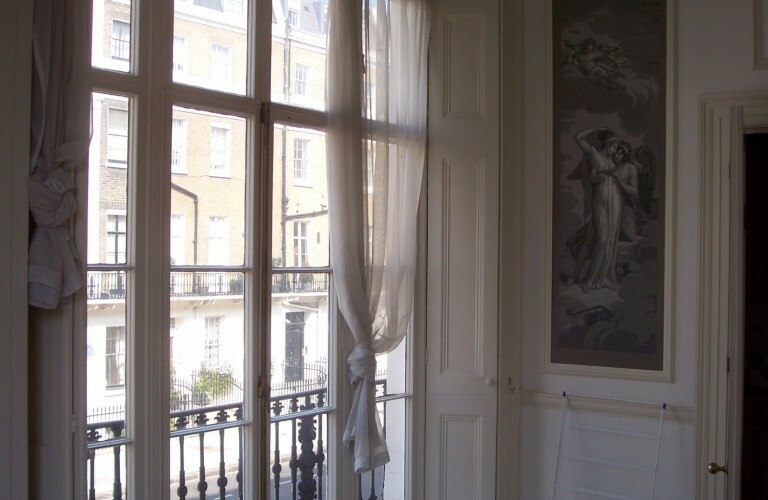 Fade reduction window film can significantly prolong the life of your fabrics, furnishings and artwork without affecting the flow of natural light or hindering the view. 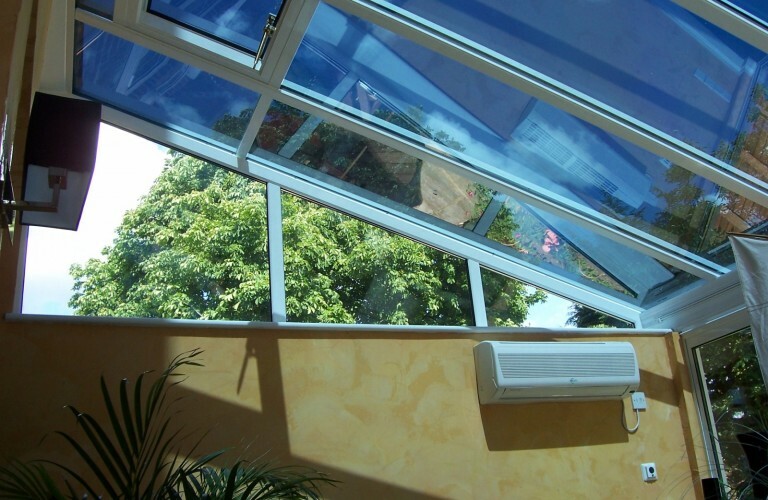 The main cause of fading is ultraviolet light but heat and natural light can also have damaging effects. Our anti UV window film is clear and filters out 99% of the ultraviolet light. 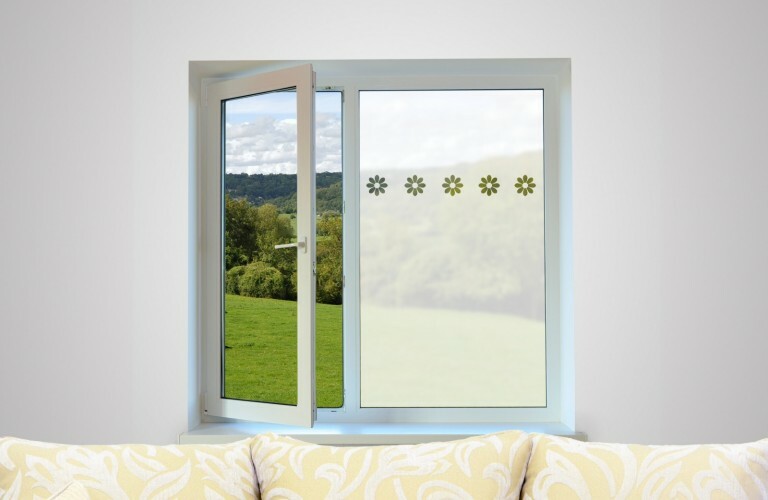 For increased protection, our range of solar control window films can reduce the heat and light to a more suitable level. 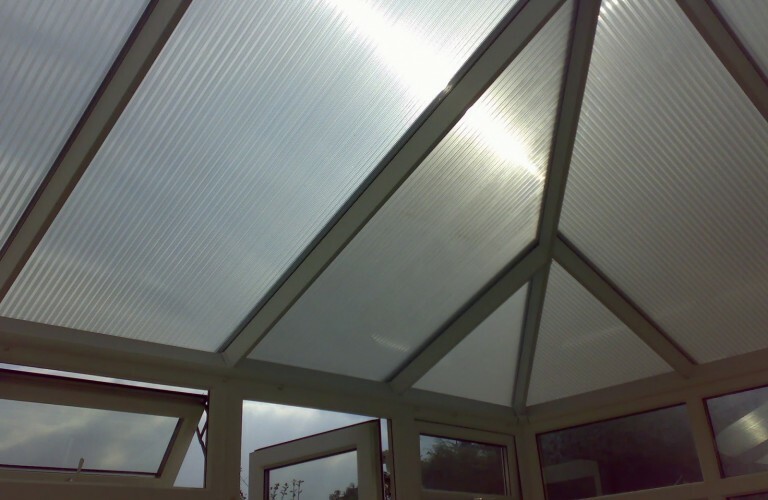 Dermagard provides the highest possible UV protection for those that suffer from light sensitive conditions. 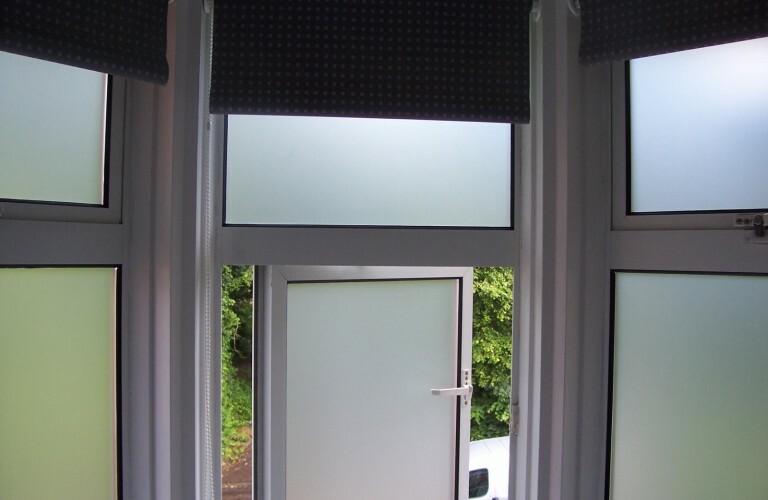 This film is completely clear and once applied, is unnoticeable and allows full daytime use of rooms where the curtains are normally kept shut. 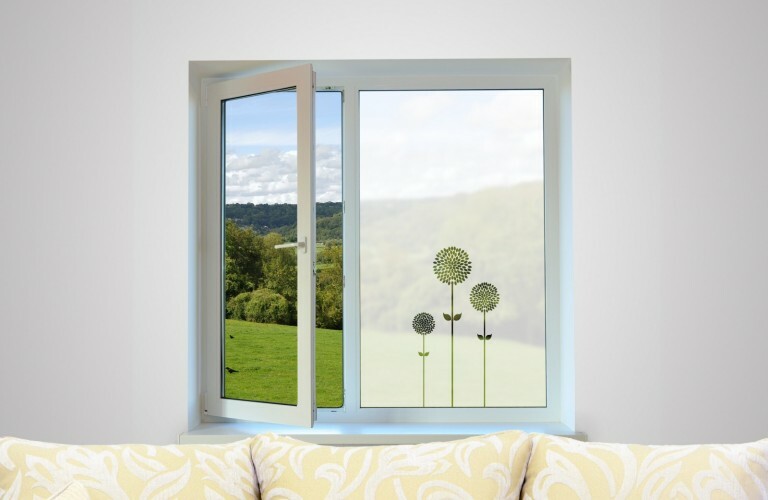 UV protection film has no tint, allowing you to enjoy the sunshine whilst protecting your sensitive skin. 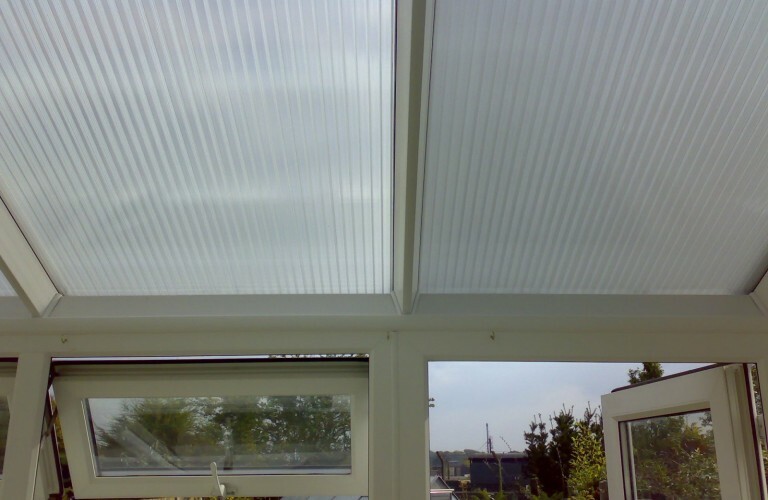 CoolKote™ is a high-performance metalized PVC coating, designed for use with polycarbonate conservatory roofs. 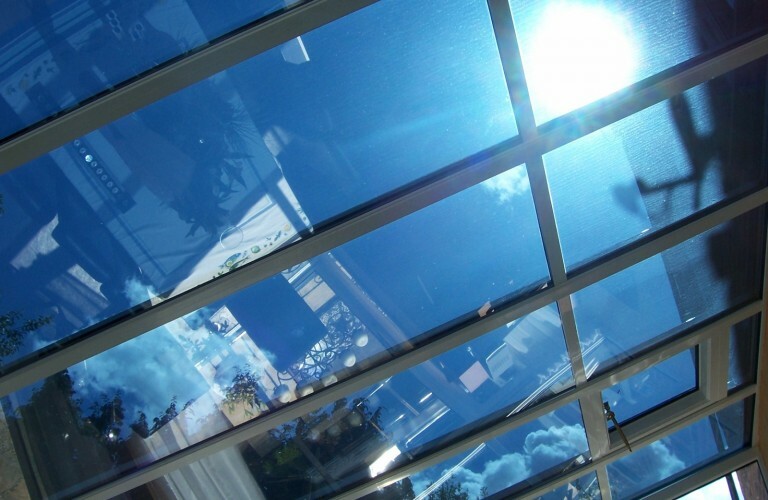 Similar to solar control films, CoolKote prevents heat building up simply by reflecting the suns heat away before it can be transmitted inside. 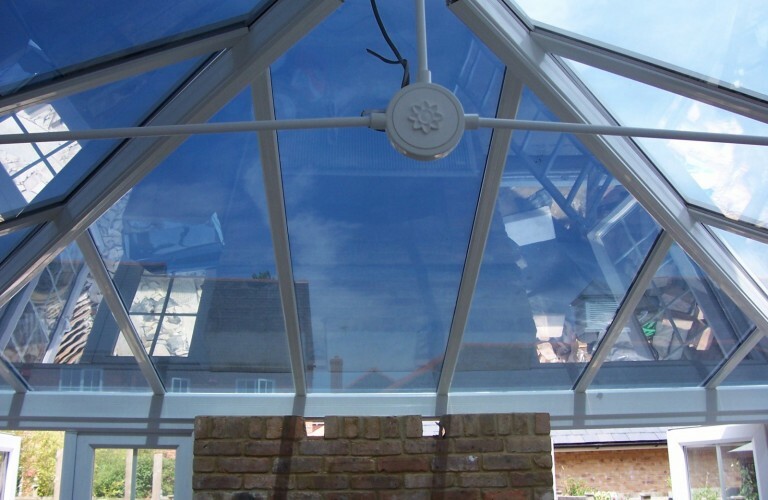 Glare is also significantly reduced. 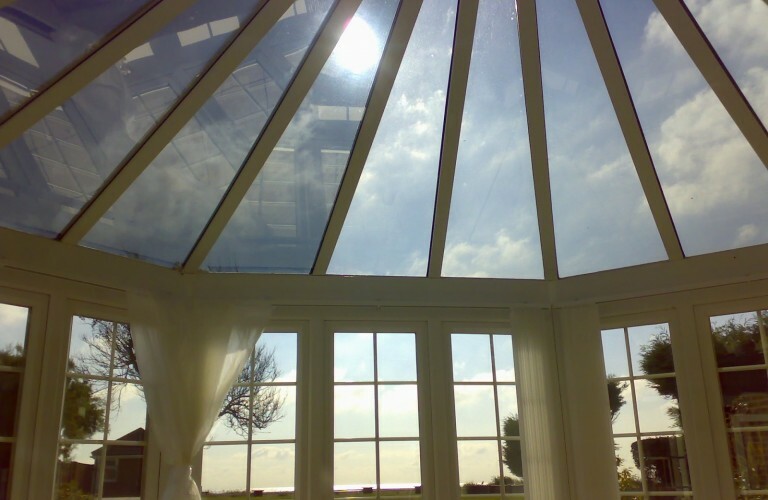 CoolKote has a medium tint and is great for heat, glare and fade reduction. 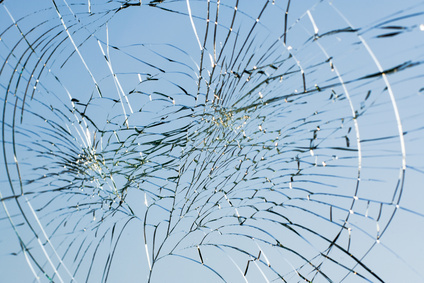 Safety or anti shatter window film is a clear film that strengthens glazing and holds it together in the case of impact thus keeping your family safe from the dangers of shattered glass. 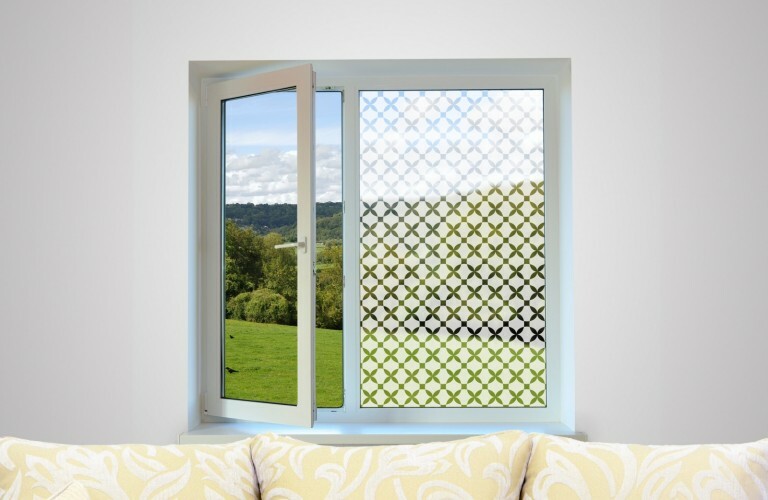 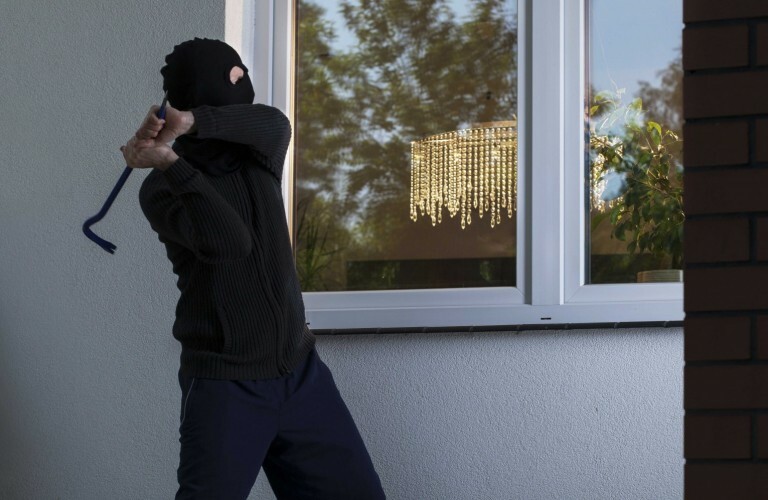 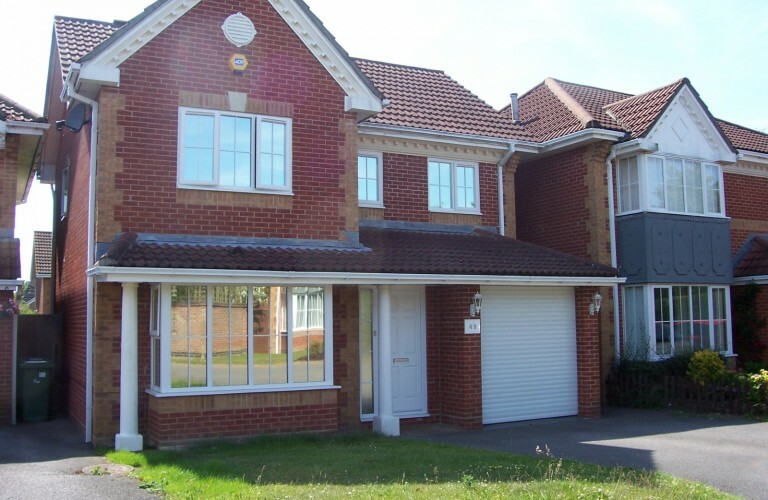 Security film can be applied to windows in the home to strengthen and reinforce your glass. 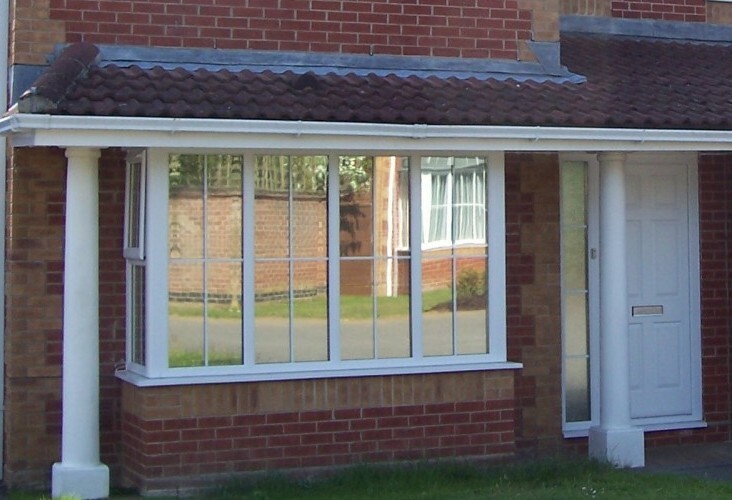 The film makes the glass much harder to break, therefore deterring potential intruders. 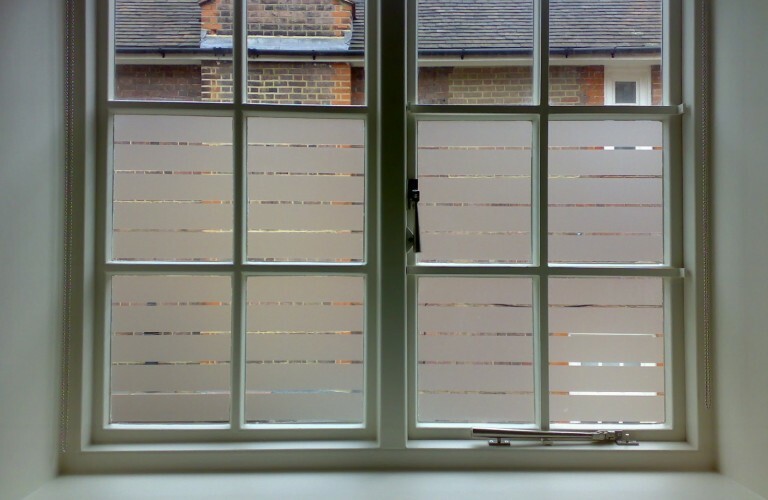 Privacy film provides one-way daytime privacy or two-way 24hr privacy. 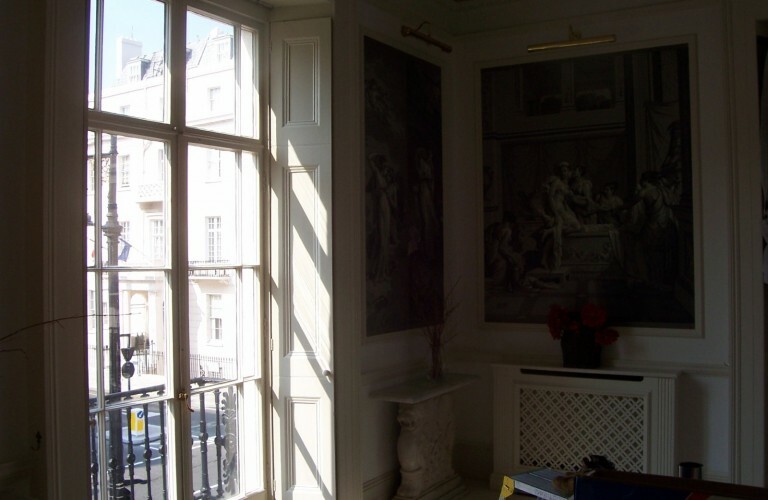 neighbours or passers by but only during daylight hours. 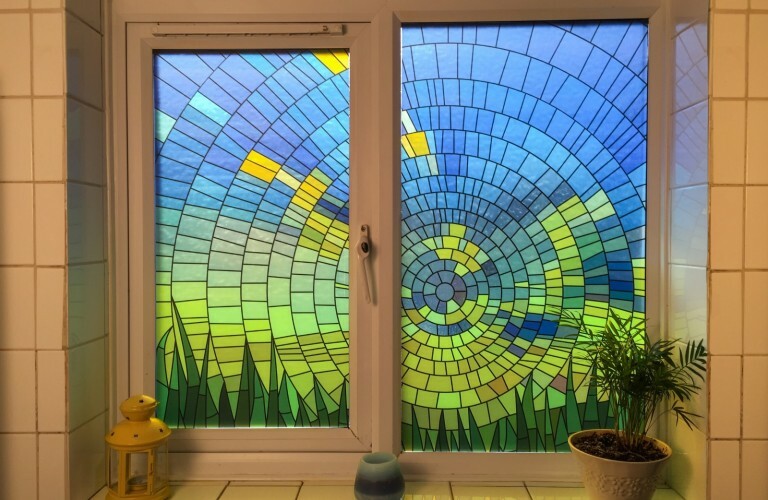 Curtains or blinds would need to drawn at night. 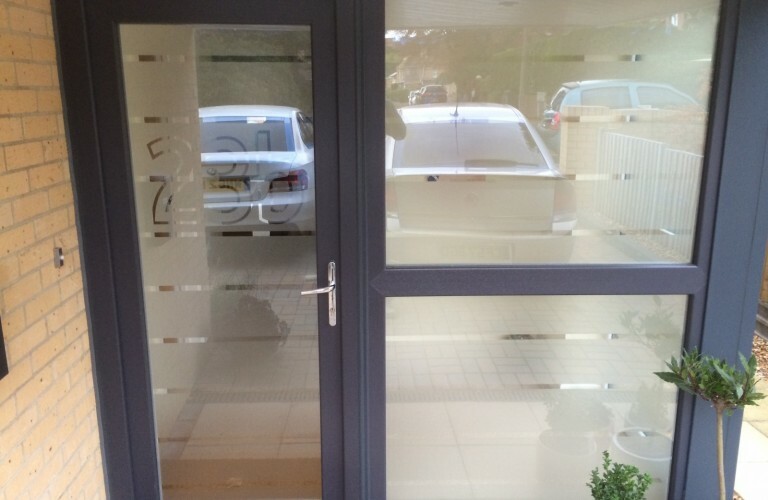 Two-way privacy film gives the effect of frosted glass, thus providing complete privacy whilst still allowing plenty of natural light to pass through. 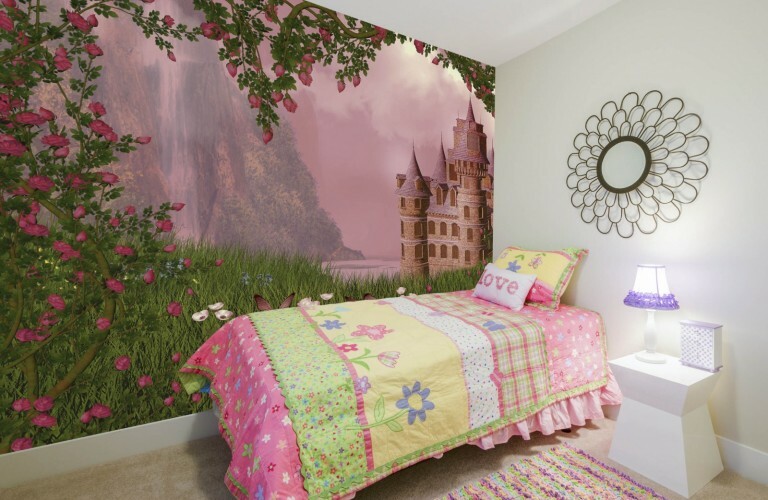 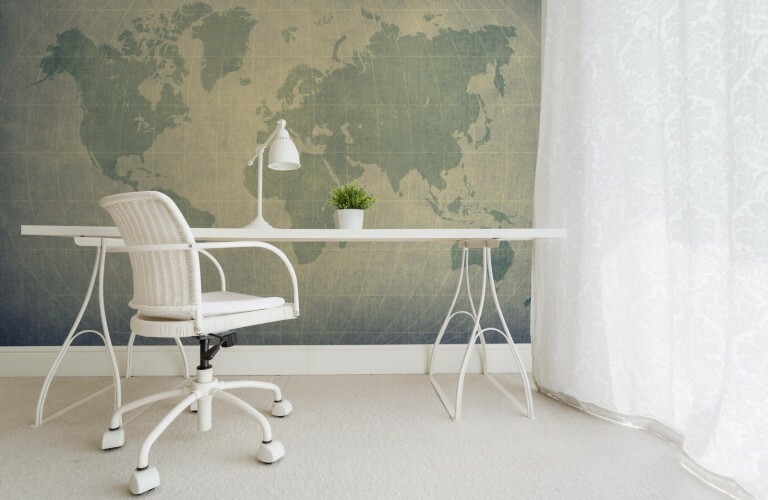 Digital or mural wallpaper allows a high resolution image (of your choice) to be printed onto wall paper and then used to create a personalised feature on any smooth wall in your home. 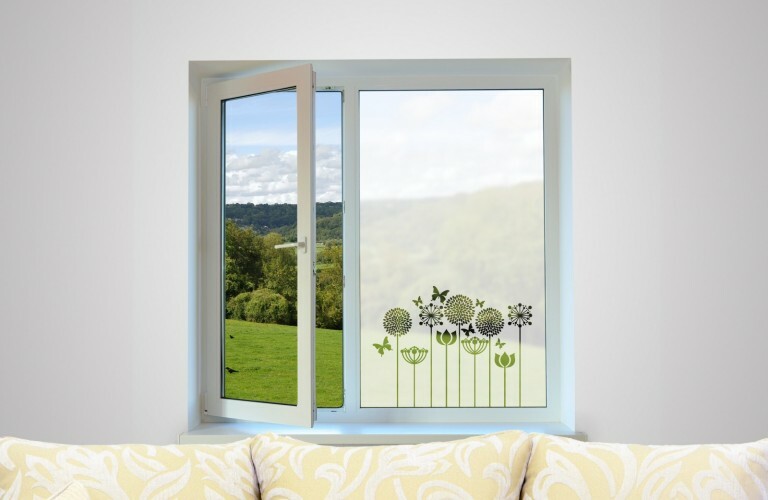 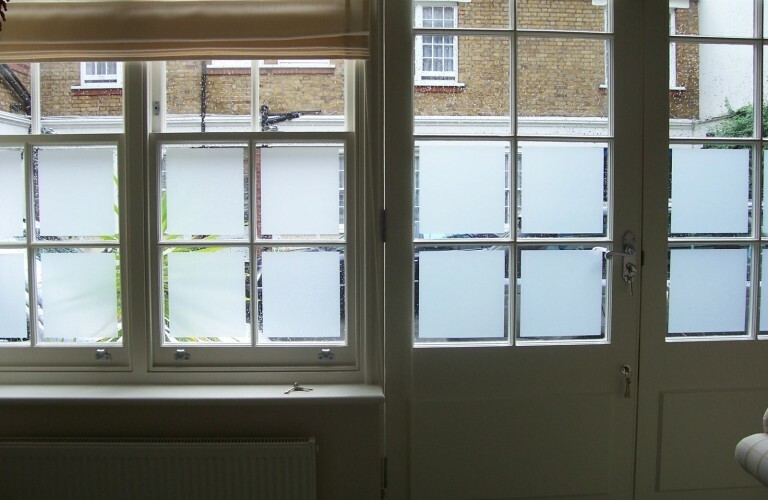 Decorative window film is a subtle and elegant method of providing a little extra privacy to your home. 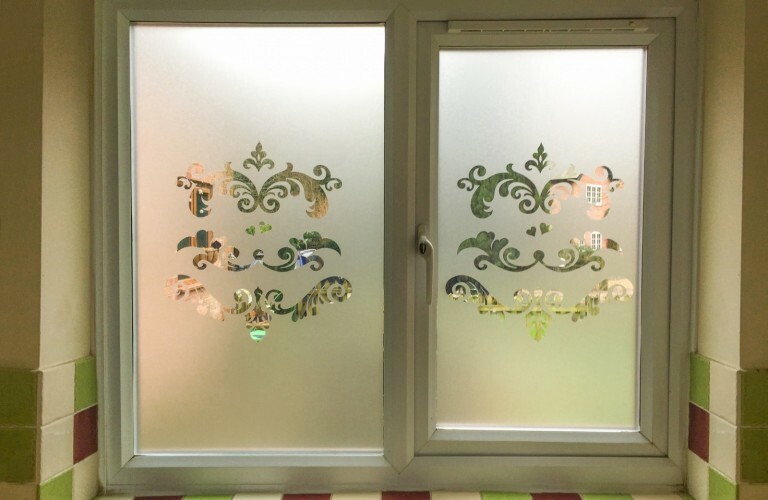 These can designs can be printed onto clear film or frosted vinyl depending on the level of privacy required. 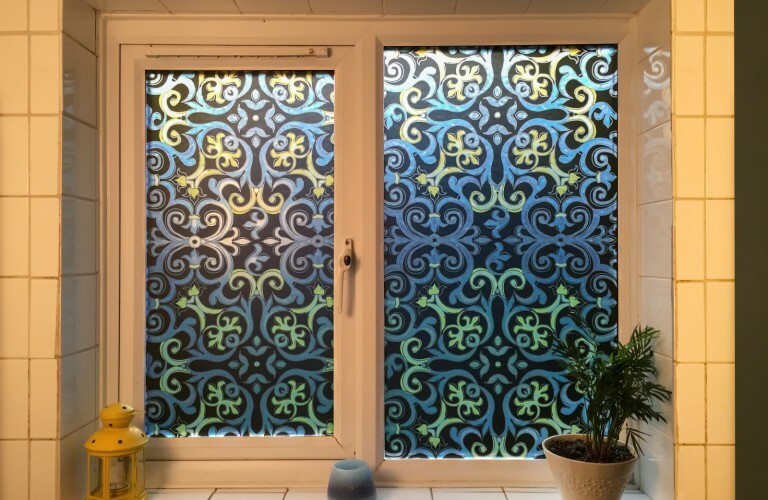 Frosted film or vinyl offers a modern alternative to net curtains. These designs are cut from a frosted vinyl or the more intricate patterns are printed onto a clear film. 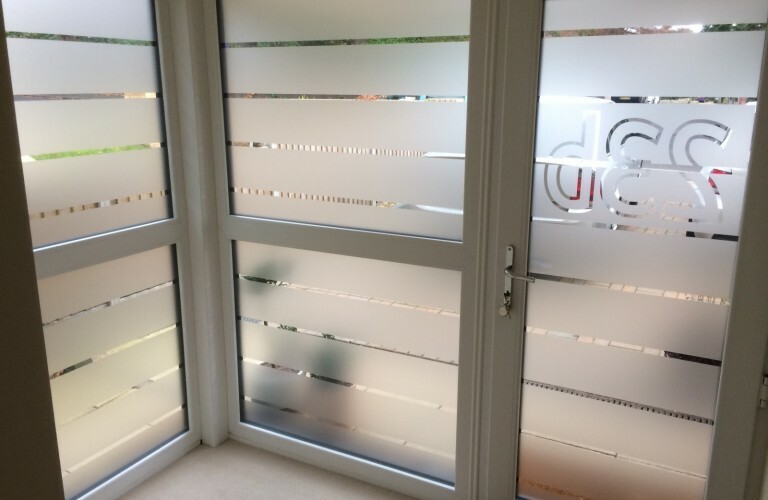 The frosted material provides privacy whilst still allowing plenty of light to pass through and the patterned area gives a small clear view. 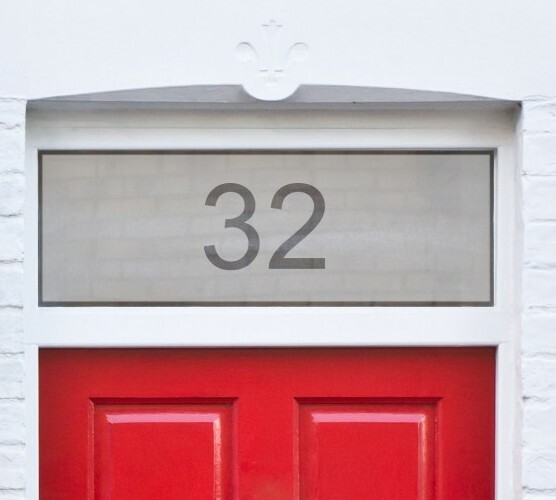 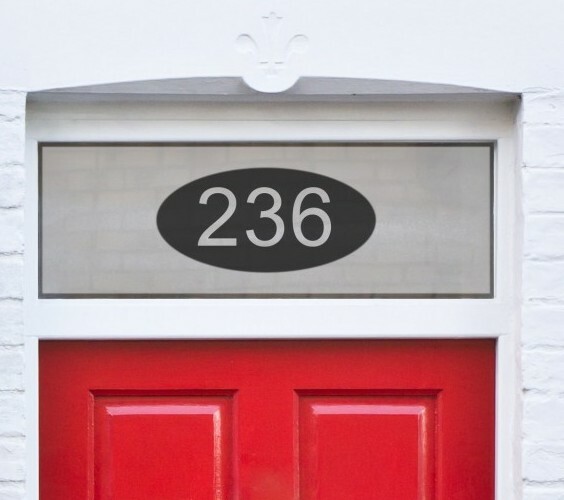 Again we use frosted vinyl to create your house name or number. The design of your choice is cut from the vinyl and applied to inside of your glass. 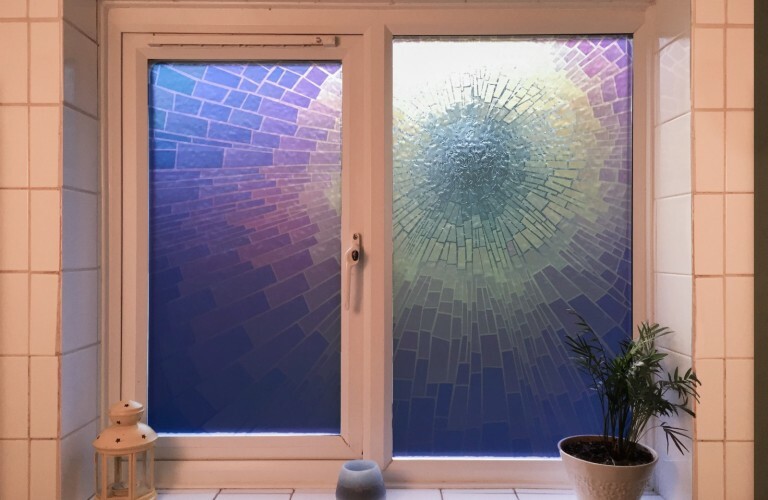 This can be clearly seen during the daytime and has a nice effect at night when your hall or porch light is switched on. 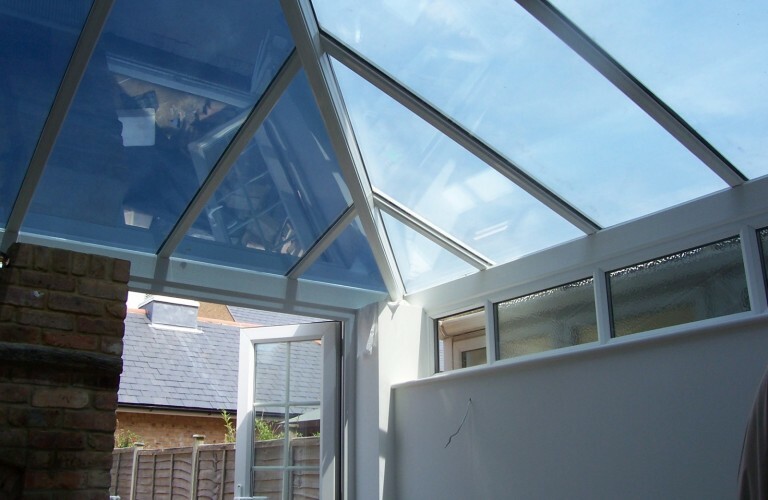 If you have a question or an enquiry into any of our products, just fill out our quick and easy enquiry form and one of our helpful team members will be able to help you. 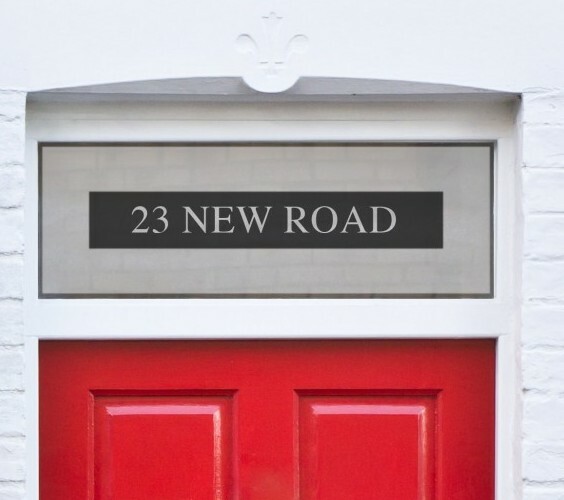 NB - Please check your spam or junk folder for our emailed response. 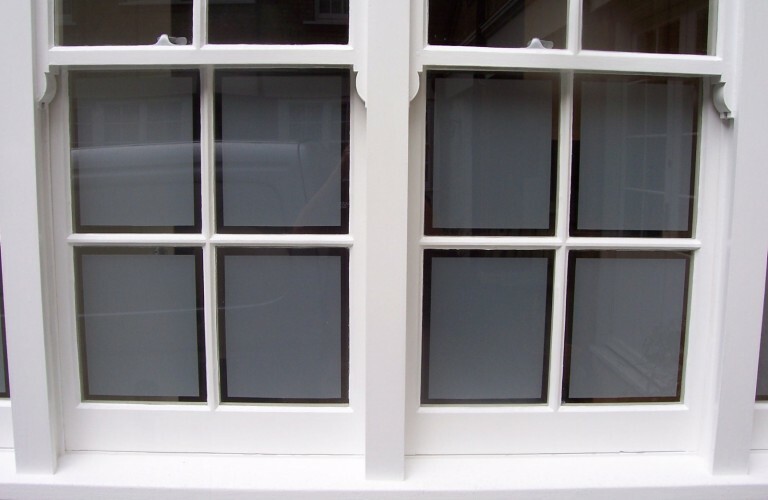 At Oakmount Installations we are committed to protecting and preserving the privacy of our visitors when visiting our site or communicating electronically with us.